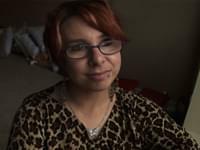 Michelle Knight, the first of three women abducted by Ariel Castro and held for more than a decade, first appeared on Dr. Phil last year and revealed the true story of what happened inside Cleveland’s notorious house of horrors. Now, one year after being rescued, Michelle joins Dr. Phil for the first time ever in front of a live studio audience. Learn what happened to Michelle after she was freed and how she has reclaimed her life. Plus, Michelle discusses her new book, Finding Me: A Decade of Darkness, a Life Reclaimed: A Memoir of the Cleveland Kidnappings, which details the terrifying abuse she suffered while being held hostage — incidents so horrific, she can’t talk about them all on TV. And, meet the people who have become Michelle’s newfound family — and see how they’re helping her fulfill her lifelong dreams. What does the future hold for this brave, young woman? Michelle Knight’s message to children police say were starved, chained up and abused by their own parents. “What do you want people to take away from reading this book?” Dr. Phil asks her. “I want them to know that everybody survives in their own personal way,” she says. Michelle describes her life before she was kidnapped, including giving birth to a son at 16. Michelle reveals a very private and painful moment from her time in captivity. And, hear a passage from her book detailing the physical toll she endured while being held hostage by Castro. One year into Michelle’s captivity, a second victim, Amanda Berry, was abducted and brought to the house by Castro, and about a year later, a third victim, Gina DeJesus, followed. “Awkward,” she says. “We haven’t talked for a really long time, and the relationship with us started to go downhill.” She adds that she accepts the situation. After Michelle was freed, no one thought she could care for herself or that she could live on her own, but Michelle has proved everybody wrong. Michelle has decided not to reunite with her family, but she is building a new family. She is surrounding herself with people who are guiding her and helping her heal. One of those people is her attorney, Peggy Foley Jones. On video, Peggy recalls how she developed a close relationship with Michelle. “The three most defining moments in my life are the birth of my first child, the loss of my sister and then meeting Michelle,” Peggy says, noting that she met Michelle six months ago when she was looking for a new lawyer. “I advised her, as I do all people, you need to maybe talk to a couple of lawyers. Michelle walked over here and looked at all these pictures of my family and said, ‘I want you to be my lawyer,’” Peggy recalls. “She was very interested in my family pictures — I think we connected at that moment. “My first feeling when I met Michelle was courage. The first thing that came out of Michelle’s mouth was, ‘I want to help other victims, so this doesn’t happen to them.’ And that, to me, was amazing, for this woman who had been held captive for 11 years was not angry, was not complaining — she wanted to help other people and to tell her story. That day changed my life forever,” Peggy continues. Peggy has not only been acting as Michelle’s attorney, she’s been dedicating her time to helping Michelle fulfill her lifelong dreams, one of which is going to culinary school. Michelle recalls coming face to face with someone from her darkest days in the house, while at culinary school. Before Michelle was abducted, her son was taken by the Department of Family and Child Services, due to danger in the home where they were living — not of Michelle’s doing — and while the investigation was going on, Michelle was kidnapped. “It makes me feel horrible, because I want to see him but I can’t,” Michelle says. As Michelle laid chained to a bed inside Castro’s house, she kept journals of her most private thoughts. Learn what happened when Castro found the notebooks. Michelle says she used to sing to pass the time in the house, and the song she sang when she felt hopeless was Celine Dion’s “My Heart Will Go On.” Dr. Phil tells Michelle that he reached out to Celine, and she has invited Michelle to be her special guest at her concert at Caesars Palace in Las Vegas. After the concert, Michelle will get to meet Celine backstage. “Thank you,” Michelle says, giving Miki a hug.